“Love Letters,” 7 p.m. at Windham Center Stage Theater, 8 School Road, Windham. 893-2098 or windhamcenterstagetheater@gmail.com. Sunday at 2:30 p.m., Portland Players, 420 Cottage Road, South Portland. $15-$20. 799-7337 or www.portlandplayers.org. “The Hound of the Baskervilles,” parody of Sherlock Holmes story, Portland Stage, 25 Forest Ave., Portland. $37-$47. 774-0465 or www.portlandstage.org. “Shear Madness,” presented by Good Theater at St. Lawrence Arts Center, Portland. Maine premiere. $22-$30. 885-5883 or www.goodtheater.com. Richard Thompson – Solo Acoustic, 8 p.m., Westbrook Performing Arts Center, Stroudwater Street, Westbrook. $46.50. www.westbrookpac.org. “Portland in Love” Pops Concert, Portland Symphony Orchestra, Merrill Auditorium, 7:30 p.m. on Saturday, 2:30 p.m. on Sunday. $25-$75. 842-0800 or www.porttix.com. Public concert, Portland Rossini Club, 3-4 p.m., St. Luke’s Cathedral, 143 State St., Portland. 415-577-4193 or www.rossiniclub.org. An Evening with Colin Hay, former frontman for Men at Work, 8 p.m., Westbrook Performing Arts Center, Stroudwater Street, Westbrook. $28-$32. www.westbrookpac.org. “Stereoscopes and Early Photography,” presented by Ralph Hatt, 9 a.m. at Windham Public Library, hosted by Windham Historical Society. Suggested donation $5. 892-1433 or www.windhamhistorical.org. “Black Jacks: African-American Seamen in the Age of Sail,” lecture by author, history professor and former mariner W. Jeffrey Bolster; 1:30 p.m.,Wishcamper Center, Bedford Street, University of Southern Maine, Portland. Free. Donations accepted. Presented by Spirits Alive of Eastern Cemetery. “Imbued with Hues,” colorized historical images, Maine life in different eras, Maine Historical Society, 489 Congress St., Portland. www.mainehistory.org. “Wonder, an Interdisciplinary Exhibition,” at UNE Portland Campus Art Gallery, 716 Stevens Ave. Opening reception Monday, Feb. 22, 5-7 p.m. Gallery open Wednesday, Friday, Saturday and Sunday 1-4 p.m., Thursday 1-7 p.m., and by appointment. www.une.edu/artgallery, azill@une.edu or 221-4499. Photographs by Mason Philip Smith, paintings by Heidi Geist and Jo-Ann Fleishman, Cia Café, 72 Ocean St., South Portland. 747-4414. 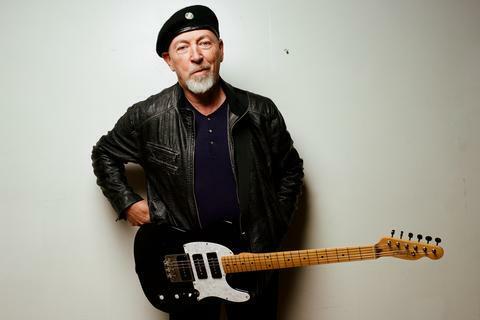 Singer-songwriter Richard Thompson performs Friday, Feb. 12, at 8 p.m., at the Westbrook Performing Arts Center, on Stroudwater Street at the Westbrook Middle School.